How can we stay engaged with life day after day? How can we continue to love what we do-year after year? How can we make lemonade when life gives us lemons? 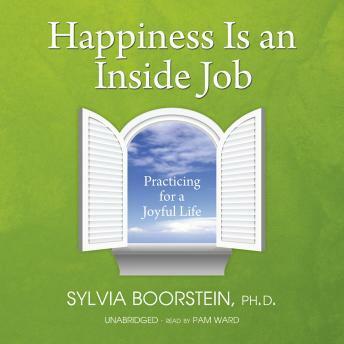 These are all questions best-selling author and beloved teacher Sylvia Boorstein asked herself when she started writing Happiness is an inside Job. The result is her best work to date; a warm, wise and instructive book on how we can cultivate happiness even when the odds are against us.